Prior to joining SS+D, Bryan managed his own highly successful law firm for 15 years. During that time, Bryan had already established himself as one of Ohio's most successful trial lawyers, winning countless trials and earning accolades from the legal community. Bryan is one of this community's most sought after trial lawyers based on his accomplishments both in and out of the Court room. His accomplishments and skill level make him a highly valued asset to SS+D. Bryan was a proud member of the Armed Forces Reserve Ohio Army National Guard, 2/107th Cavalry Division, from 1992 through 2000. While in the reserves, Bryan spent some time in Panama, C.A., earning a field grade promotion for exemplary service in the field. Bryan attended Wright State University, where he graduated with a BA in Political Science in 1996. He then went on to attend law school at the University of Dayton, graduating in 1999. While there Bryan served as the President of the Criminal Law Association. 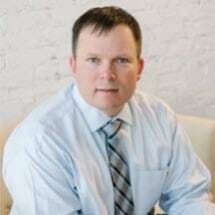 Bryan began his professional career as a solo practitioner with a firm known as Little, Duncan & Depoorter (an association of independent attorneys). During that time, Bryan was a General Practice Attorney with a primary focus on Criminal Defense, DUI/OVI Defense, Family and Juvenile law and indigent client representation. Bryan then moved on to become an Associate Attorney with Boucher & Boucher Co. LPA. During that time, he was a General Practice/Litigation Associate with a primary focus on Criminal Defense, DUI/OVI Defense, Family Law and General Civil Litigation. Bryan also expanded his practice area and became involved in major Federal Criminal cases involving, among other things, Racketeering Influenced Corrupt Organizations ("RICO"), Money Laundering, Trafficking, and Conspiracy. He also became involved with Federal Civil litigation involving Civil Rights and U.S.C. § 1983 violations. Bryan was recognized as one of Ohio's Super Lawyers, Rising Stars, in 2006. After experiencing much success in and out of the Courtroom, Bryan started his own law practice in 2007. His practice continued to flourish and his jury trial successes mounted as well as his other endeavors. He again was recognized as one of Ohio's Super Lawyers, Rising Stars, in 2007. Bryan was involved in successfully litigating an administrative action with the Securities and Exchange Commission in New York. He has represented major corporations such as UPS and Marlin Firearms. Bryan has been recognized as one of the Top 100 Trial Lawyers by the National Trial Lawyers in 2012 and 2013. He is also recognized by The National Advocacy for DUI Defense (NAFDD) as one the top 100 Driving Under the Influence attorneys in Ohio.